We’re excited to share that MamaBear App is now under new ownership! Grom Social has acquired the company with big plans ahead. You’ll be hearing from us more with fast response to customer support inquiries, attention on app updates and inclusion of features you’ve requested. 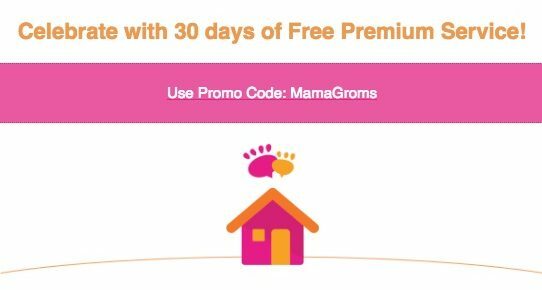 To help us celebrate, we’re giving you 30 days of premium service for FREE with promo code MamaGroms. If you already have a MamaBear account, click here (existing users) to add your free 30 days. If you closed your account and you’d like to give it another try, register for a new account. Grom Social is the safe social network created by kids for kids. Launched in 2012 by then 12 year-old Zach Marks, Grom Social is quickly becoming the leading safe social media platform for children worldwide. With more than 3 million users, Grom Social provides a positive, fun, and safe social media environment for children to network, discover original content and play games, all while allowing parents to monitor their activity through the parent portal. Grom Social and MamaBear’s shared common values of bringing greater awareness of social responsibility and promoting good digital citizenship made this a perfect match. Our commitment to connecting your family and protecting your children is stronger than ever. You can stay in touch with us by contacting us at Support@MamaBearApp.com.